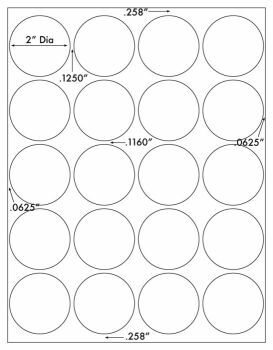 2" Diameter Round for use in Laser Printers ONLY! 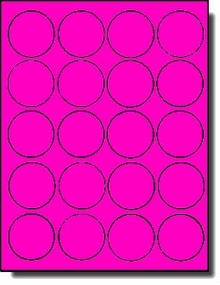 With these Round Neon Magenta or Pink High Visibility Laser Labels you can create unique labels or stickers for a variety of applications. Print with your Laser printer for professional-looking results. These labels are designed for Attracting Attention! High Visibility Labels are used for warnings, important information, and other notices!